Fall colors blanket the landscape of Valley Forge National Park. You should never steal from someone else's car. You especially shouldn't do it on federal property, lest you want to face a potentially lengthy federal prison sentence. 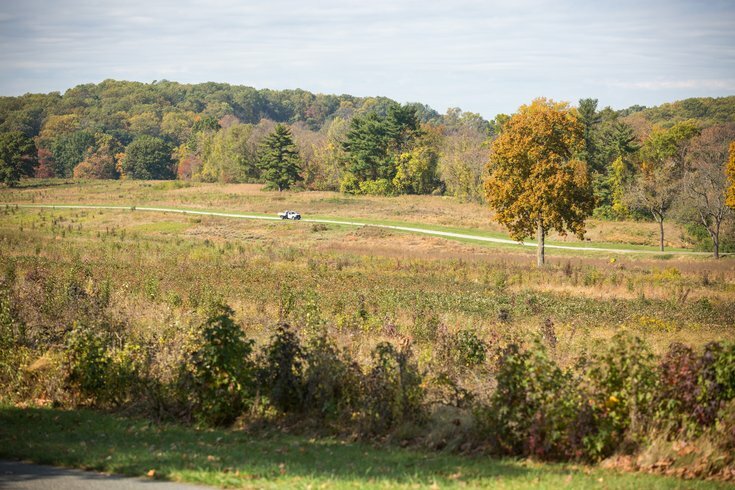 The United States Attorney's Office in Philadelphia announced charges Friday against Tory Lee Bailey and Marcus Antonius Tomlin for allegedly breaking into a car at Valley Forge National Historic Park. Bailey and Tomlin, both of Philadelphia, allegedly took personal items, including a credit card, from the vehicle, according to prosecutors. The men allegedly used the credit card to go on a shopping spree at nearby King of Prussia Mall. Bailey and Tomlin bought more than $6,000 worth of merchandise and food at the mall, according to prosecutors. The Upper Merion Police Department assisted federal authorities in investigating the case. Bailey and Tomlin have been charged with conspiracy, access device fraud and aggravated identity theft. If convicted, Bailey and Tomlin face a minimum sentence of two years in prison and a maximum possible sentence of 17 years in prison, a $750,000 fine and a $300 special assessment.